i think we should also show our pocket watch keys! I hope you like this keys! I've never seen such amazing keys Where did you find them? does anyone know something about this face? hmm i think it could be an english "Maskaron" ?! Do you know if each of these is a unique piece? Most of these keys are not unique ones. They have been produced in limited quantities but are VERY hard to find! I AM STILL SEARCHING FOR MORE KEYS LIKE THIS ONE!!!!! MAYBE SOMEONE GOT OTHER KEYS FOR ME ???? Maybe someone knows a BOOK about pocket watches? But there must be more books about pocket watch keys (english or french)? The key is gold and the miniature is painted on ivory behind glass! On the back the glass is missing. Very nice key ! It is in good condition. What kind of verge do you think fits to this key? The first one is so big ! Are they in gold ? 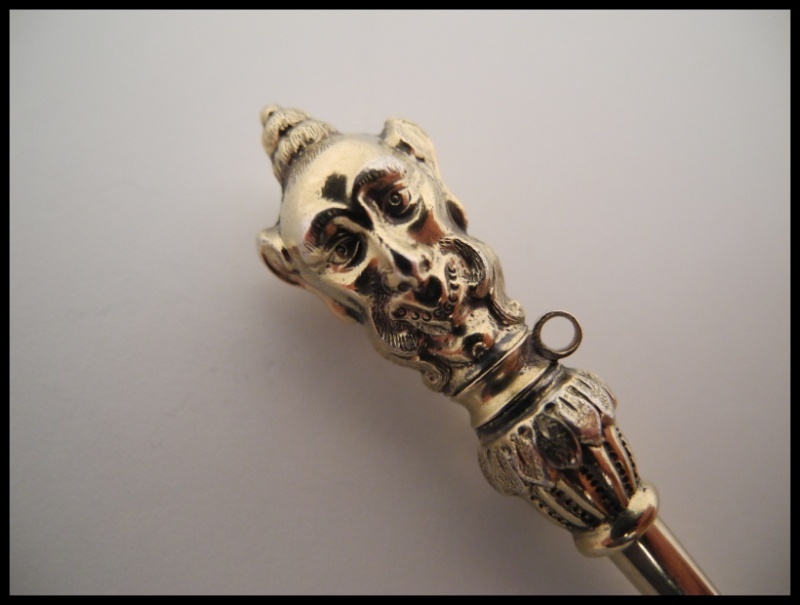 I am the one who sold the large Key with white agate to you ;-) It is in gilt brass. A lot of key here, it's a very good forum, a lot of interresting things and a lot of pages of keys. A good specialists of watches too. I don't understand all, but I understand a lot, I don't speak Italian. You can find kélorkilé or JCH in this forum. I think, I saw your watch , that you have in avatar Tu-fan on this forum. Un forum a ne pas loupé, des heures de consultation en perspective. Et des documents interéssant.